Customers trust the word of other customers more than they trust you. It may be a hard truth to stomach, but there's no reason to feel defeated; just leverage the positive words of your current clients and customers to recruit new ones. Most customers read reviews online before they make a decision. This phenomenon is often called looking for "social proof" about a product or service. If you embed Google reviews on your website, you can often convert more visitors into purchasers. An authentic Google review, in fact, could be just as effective as a personal referral from a trusted friend or family member. The placement of the reviews is just as important as their content -- if no one sees them, they can't make an impact in your sales. Here are some of the best places to embed reviews based on eye-tracking studies, and a quick tutorial about how to embed the reviews on most website platforms. Since 2006, it's been widely accepted that most website visitors view the page in an F-shape pattern. What does that mean? Visitors do a quick scan of the top line of the website, the left vertical side, and then do another scan of the middle of the page. This isn't the only viewing pattern that eye-tracking studies have identified, but it appears to be the most prevalent. What this trend means for CTA, review, and link placement is that you can make a very educated guess about where your visitors eyes will go when they open your website. Based on this data, here are three top places to put your Google reviews. The top left corner gets an immediate view. Put a positive review just under your business logo and other branding graphics if you want it to be the first impression a potential customer gets. The upper left corner of a website has a powerful potential to give your website immediate credibility -- don't fill it with fluff or leave it empty. The top right corner of your web page is also highly viewed (it makes up the right end of upper part of the "F"). If your upper left corner is occupied by other information, placing a few Google reviews on the other side of the page is still likely to yield a lot of viewing. You may also want to consider the natural user journey (or user flow) as you're placing your embedded reviews. Is there a place where the consumer will naturally come to the point of deciding whether or not to purchase? Look at your website data. 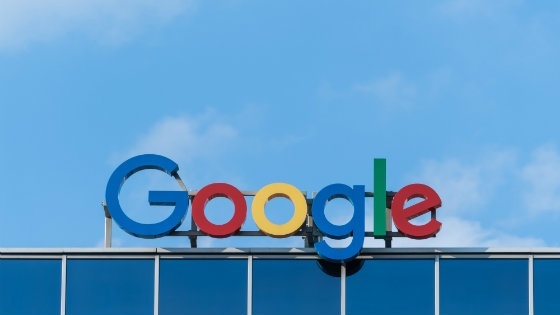 If customers often drop off just before they check out, for instance, embedding your positive Google reviews to that point of the user journey could encourage them to complete the process. Adding Google reviews to your website is simple with CWS' Google review tool. Simply follow this link to fill out your information. Then, fill in your business name and select the correct Google Review business from the results. Copy the provided code and paste it into your website's code wherever you'd like the reviews to display (perhaps, one of the three aforementioned locations). Adding Google reviews to your website gives customers a boost of confidence and serves as free advertising. Most website visitors scan the page in a similar way, which includes looking for a search bar and focusing on content that breaks up blocks of text. If you embed your reviews in an appealing place, you could reel in a lot of new business in no time. Are you taking the necessary steps to support your local SEO? You might be surprised at all the opportunities local SEO can give your business! Learn all about optimizing your website content, claiming your Google Business page, and more. 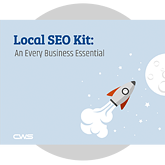 Download the FREE Local SEO Guide and never miss a sale opportunity again!